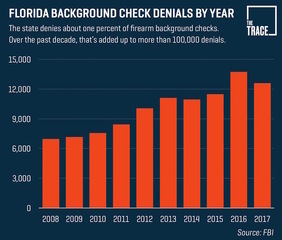 Florida lawmakers failed to close a dangerous loophole that allows gun-shopping criminals to lie on their gun purchase background check form, without punishment. "This is a bill thought I was going to be able to get some bi-partisan support on. We’re just trying to stop criminals from getting a gun and purchasing a gun," said Senator Randolph Bracy, who introduced the bill along with another lawmaker. In a joint partnership with The Trace, we recently discovered federal prosecutions are rare while Florida remains the only state that lacks the legal authority to prosecute these so called "lie and try" cases. Cases Florida gun dealers see regularly. "You’re selling guns you want the gun to go to people who can own them legally. Anyone who tries to do it the wrong way you would want them to pay the price of what they tried to do," said a frustrated Bracy. 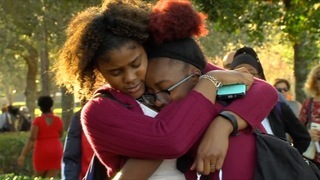 In response to the parkland school shooting that killed 14 students and 3 teachers, last week, Florida's republican-led legislature, notorious for passing gun-friendly laws; voted in favor of historic gun control that raises the age to purchase any gun in Florida and even allow some teachers to carry. 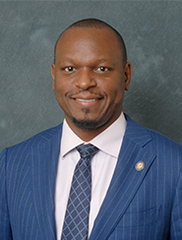 Bracy explained in an interview with us last week why he believes closing Florida's "lie and try" loophole keeps going nowhere. "The NRA (National Rifle Association) has such a strong hold on the Republican party that they will not touch it even if it's a compromise of some sort just closing the loophole," said Bracy. 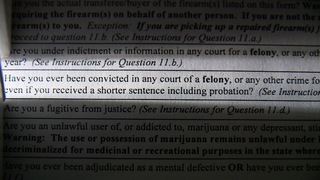 Giving known criminals in Florida the legal means to continue to lie and try to buy a gun here. This article was done in partnership with The Trace ( thetrace.org ), an independent, nonprofit news organization covering guns in America. 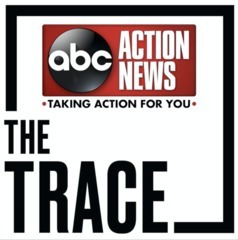 or follow The Trace on Facebook ( @teamtrace ) or Twitter ( @teamtrace ).